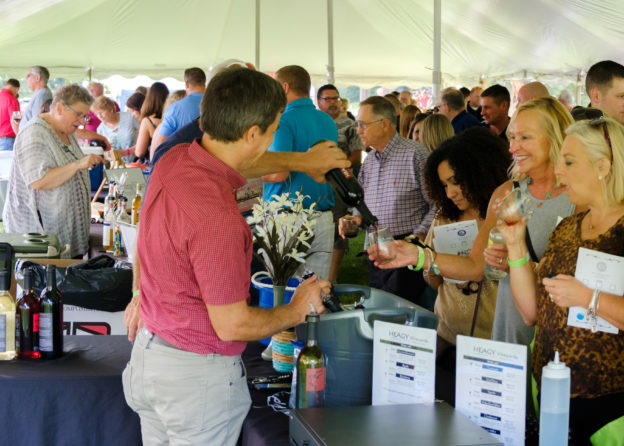 Come join us Friday, July 13 to tickle your palette with lots of great Indiana Wineries, Cider Companies, and US Breweries that will be pouring it up at this year’s Forks of the Wabash Uncorked event. Local food trucks and Wicked Good Cupcakes (Featured on Shark Tank) will be there with plenty of food options available for purchase. Not to mention there will be a silent auction with some terrific items to bid on and live music by the Joel Young Band. You don’t want to miss this awesome summer time event. Ticket prices are: $30-advance, $10-designated driver and $35 at the gate. Get yours today: ONLINE , Bottle & Keg (Roanoke), or at any Huntington First Federal Savings Bank. 21 and over, RAIN or Shine, and don’t forget your favorite lawn chair. Option to purchase your favorite libations.